Lillie May Carroll Jackson, a public charter middle school for girls in Baltimore graduated their inaugural class in June of this year. The first of its kind, Lillie May is the result of years of collaboration between the independent school communities and the Baltimore City School System. 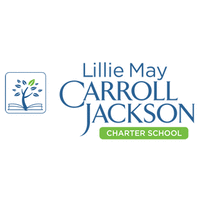 Roland Park Country School (RPCS) and The Bryn Mawr School, fellow all-girls schools in Baltimore, ultimately drafted and submitted the successful charter application for Lillie May. Founded in 2015, Lillie May (LMCJS) then became a unique partnership between the Baltimore City public school system and Roland Park Country School (RPCS). LMCJS was designed to join the high educational standards and academic freedoms of RPCS, with the opportunity for collaboration and connection between girls and teachers from the public and private education sectors. Middle Grades Partnership, created by the Baltimore Community Foundation in 2005, is a six-week summer program for middle-school students and faculty from both public and independent schools to come together for shared academic and social opportunities. The relationships forged between independent and public partner schools permitted an ample discussion of the value of collaboration and partnership. As a result, the concept of Lillie May was conceived and ultimately realized. While both LMCJS and RPCS were cognizant of the need for Lillie May to develop a unique culture and to stand on its own, early collaborations provided a structure and a plan that served as the school's foundation. In addition to the academic design work provided by RPCS, other initiatives laid the groundwork for furthering the relationship between the two schools. Since its inception, meaningful and regular activities have been a critical part of the bond that brings LMCJS and Roland Park together. Each year, the Executive Director of LMCJS, Laurel Freedman, addresses the RPCS faculty and staff at orientation to build knowledge and connection between the schools. On opening day at LMCJS, the RPCS Upper School organize a field day for the entering sixth graders consisting of sports clinics and games between the schools. Additional collaborations include a reading partnership between Lillie May seventh graders and Roland Park kindergartners, theatre and dance collaborations, and the formation of joint STEM and Cultural Clubs. Expeditionary Learning (EL), a project-based education model selected by LMCJS provided comprehensive instructional, culture, and leadership models throughout the design phase of the schools. Their assistance in school design, hiring, team building, and board development also proved to be invaluable. As part of the process, an EL school designer worked with faculty and staff at RPCS and LMCJS to develop an organizational structure to serve as scaffolding while the pillars of the school were built. At the core of EL is the development and implementation of project-based learning expeditions, which take an intensive, multidisciplinary approach to a subject area. The first expedition, Who is Lillie May Carroll Jackson?, allowed the girls to learn about the civil rights movement, specifically the movement in Baltimore, through the lens of the school's namesake, Lillie May Carroll Jackson. Scholars visited Lillie May's home (now a museum) and her church, Sharp Street Memorial. Scholars learned about the founding of the NAACP in Baltimore and Lillie May's elevation as the first female president of the organization. Scholars were also able to meet with grandchildren and great-grandchildren of Lillie May who still reside in Maryland. Among her successes, LMCJS has also had her share of challenges. As a result of a Title IX (guaranteed equal access of boys and girls to educational programs), the $750,000 start-up funding typically awarded to all new charter schools was delayed three years. During this time, LMCJS was tasked with proving that a comparable education program existed for boys in Baltimore. While this would normally prove to be a detrimental setback, due to the dedication and hard work of the staff, administration, and board the school not only survived, but thrived during this period of financial stress. LMCJS has been embraced by the education community in Baltimore. Due to its popularity and reputation for a stellar education, admission, conducted through a randomized lottery, consistently has a waiting list. The funding community has also been supportive of LMCJS. In addition to early funding to bridge the gap between the planning phase and the receipt of federal funding, a local foundation and The Reinvestment Fund have guaranteed a construction loan allowing the school to renovate and relocate a building to serve as the permanent home of LMCJS. Lillie May also recently received a gift of an endowment of $300,000 created by the family of an alumna of Bryn Mawr School, one of the original co-founders of LMCJS. LMCJS will move into a newly renovated, permanent space in 2019 that will allow for expansion. A Director of Scholar Development will support graduates as they navigate high school and plan for their post-high school futures. Both partner schools envision more robust conversations between their faculties and shared professional development opportunities. Building on the foundation in place, they also want to develop more opportunities to increase and strengthen relationships between the girls of LMCJS and RPCS. LMCJS hopes to serve as a catalyst for change in the independent and public education communities in Baltimore.